I was planning on having a long drawn out Easter lunch with friends so thought I’d do some little snacks to sustain them over drinks before the main event. I’d seen quail scoth eggs before but thought the sausage meat may be a little heavy and wanted to do something lighter. So I came up with the idea of courgette, feta and mint as a wrapping. 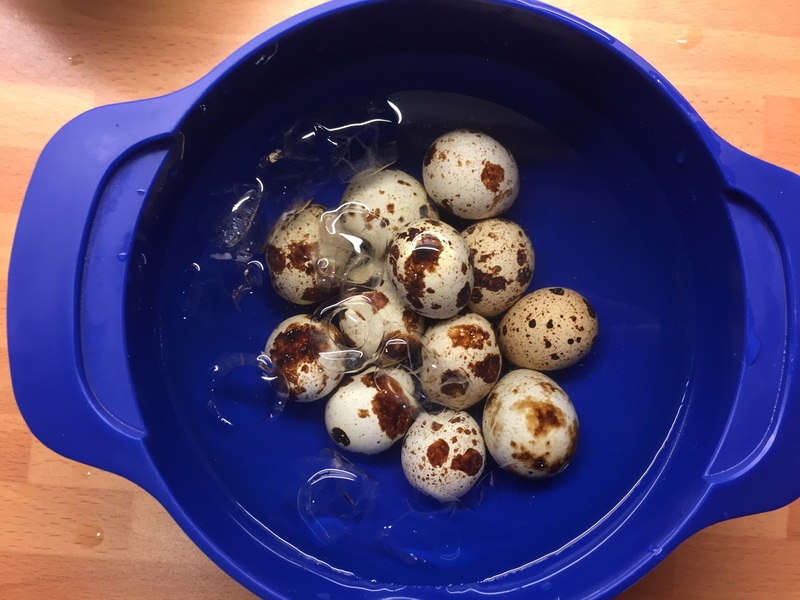 I boiled some quail eggs for exactly two minutes then plunged them into ice water. 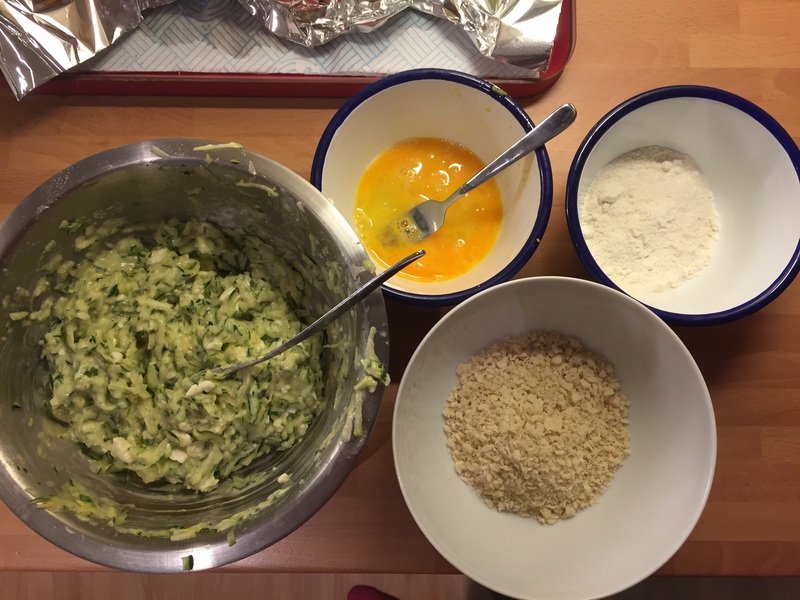 For the wrapping I grated three courgettes then added an egg, 50g of flour, the zest of a lemon 100g of crumbled feta, seasoning and mint. Then it was a case of putting the peeled eggs into the mixture, forming little egg shapes and coating in breadcrumbs. I’m not going to lie, this was messy as the wrapping was like a thick batter. Then it was into the fryer at 185c until golden. 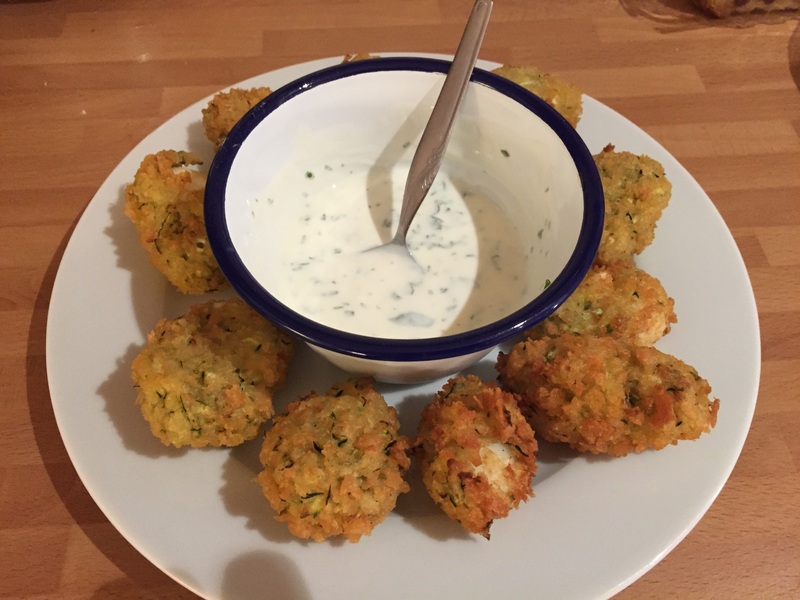 I served them with a mint and yoghurt dipping sauce. Fantastic with a glass of bubbly! This entry was posted on April 6, 2015 by paulb in Snacks.